264 card set. 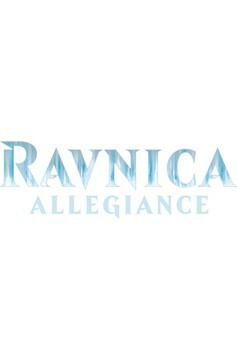 Darkness is coming to Ravnica. A conflict that could tear apart the world itself looms large, and the fragile peace between the guilds is strained to its breaking point. Now, with everything on the line, it's time to step up, prove your loyalty, and fight for your guild..